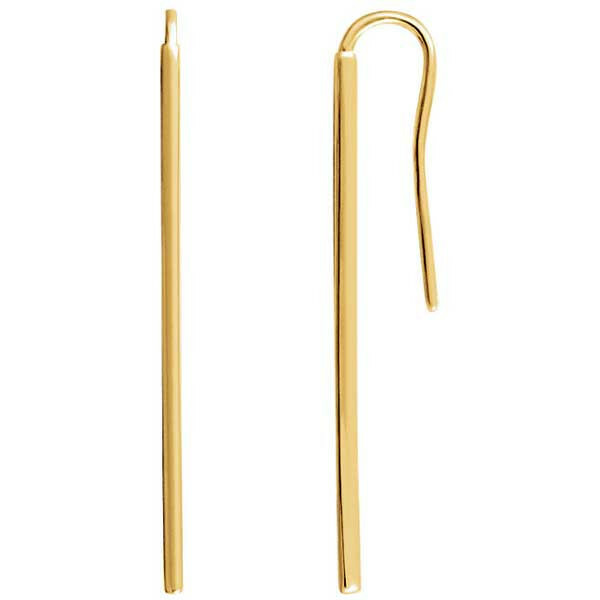 These vertical bar earrings show that thin is in! Crafted in 14kt yellow gold, they feature comfortable French wire backs. The earrings will hang hypnotically from your ears, enchanting all who see them.